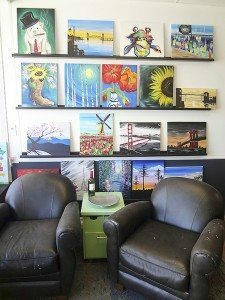 Syosset residents have been enjoying giving their creative and social sides an outlet at Wine and Design, a bright and cheery art studio that caters to both budding artists looking to fashion a masterpiece and those who just want to casually have some fun while slapping paint around on a canvas. 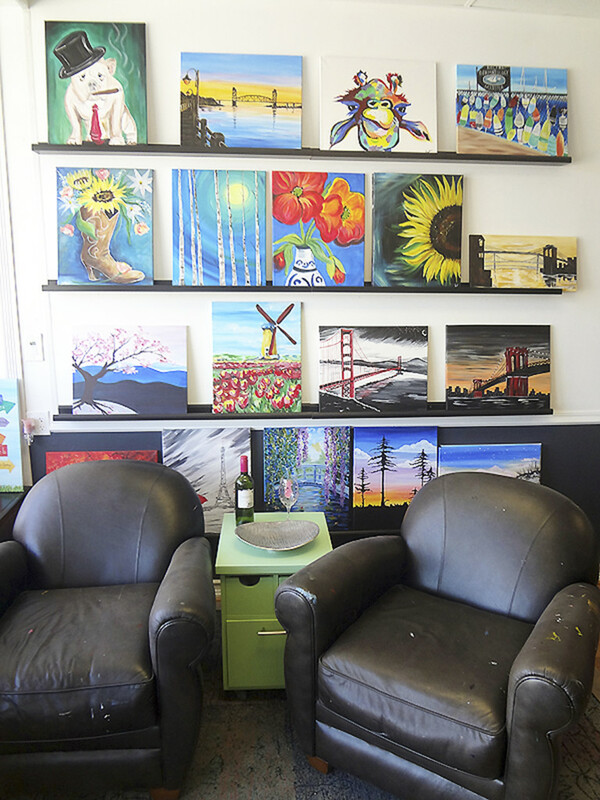 Located on a busy roadway at 35 Jackson Ave., Wine and Design owner Pam Paredes of Jericho first opened her studio’s doors in August of 2014. The studio comfortably accommodates up to 35 people and provides a great opportunity for people looking to indulge their artistic sides while sipping on a glass of chardonnay—or chocolate milk, if you’re a kid. Wine and Design has programs for adults, as well as youngsters. 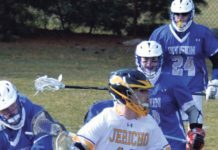 Holding degrees in architecture and engineering, Paredes said that she spent a number of years grinding away in the corporate word—including working for Chrysler Motors—but after marrying and moving to Long Island, she eventually felt a change of pace was needed and started looking around for the right opportunity. An artist at heart—Paredes said that she’s been painting all her life—she decided to heed her desire to reclaim her creative side in such a way that she could earn a few bucks as well, sparing herself a return to the rigid 9-to-5 world she had previously lived. 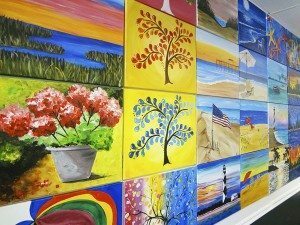 Eventually, she found what she was looking for in Wine and Design, an art studio franchise that she was exposed to when previously living in South Carolina. 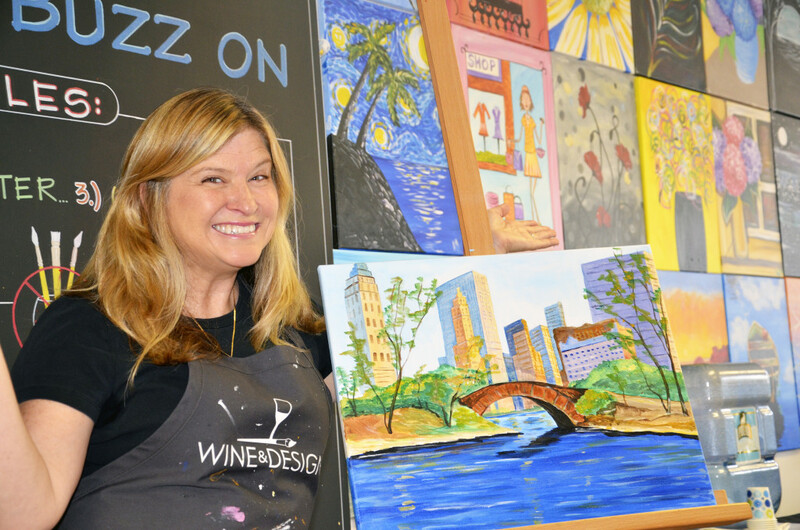 Wine and Design pairs painting with a social aspect. After looking for the ideal location for her studio, Paredes finally settled on Syosset, and before long, she found herself running the first—and, to date, only—Wine and Design franchise on Long Island (there are 61 locations and counting nationwide). 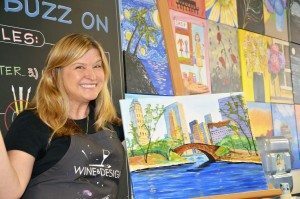 What sets Wine and Design apart from other art studios, Paredes said, is the unique combination of artistry and socialization, with classes lead by pros who assign a wide variety of subjects to paint and give just the right amount of individual assistance to their students, with the emphasis being on fun and enjoyment more than anything else. 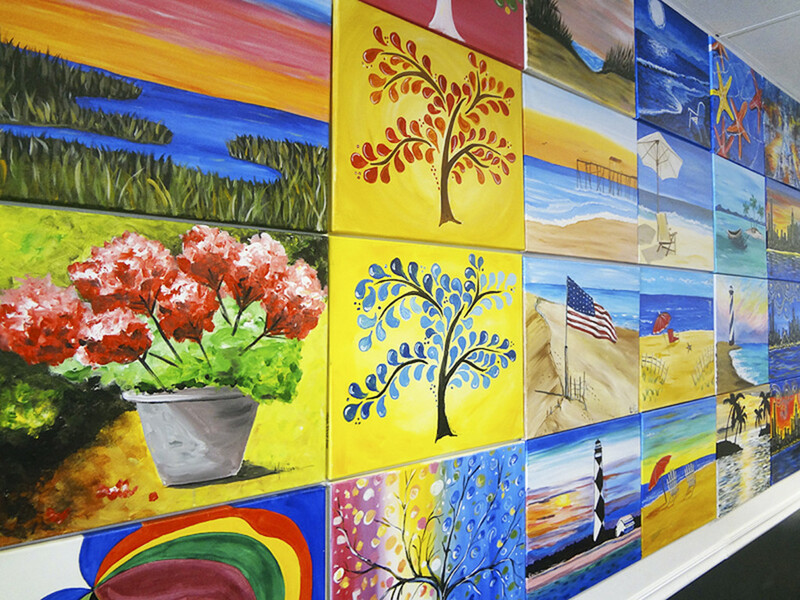 Children programs, including birthday parties and art camps, are typically run throughout the daytime, whereas adult programs are held in the evening. During those sessions Paredes noted that participants are free to bring their own wine, beer and snacks to add to the atmosphere, although in the future she said that the goal is for Wine and Design to put in its own bar facilities to serve its adult patrons. 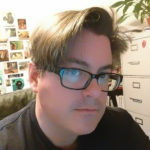 So far, Paredes said that response to Wine and Design from the Syosset and surrounding communities has been very encouraging, so much so that she’s is entertaining the notion of opening a second location, with Rockville Centre as a possibility. In addition, the nature of her business means that she shares a beneficial symbiotic relationship with her fellow local merchants, so a local Wine and Design is good for any community, she said. To find out more, visit www.wineanddesign.com/locations/syosset.